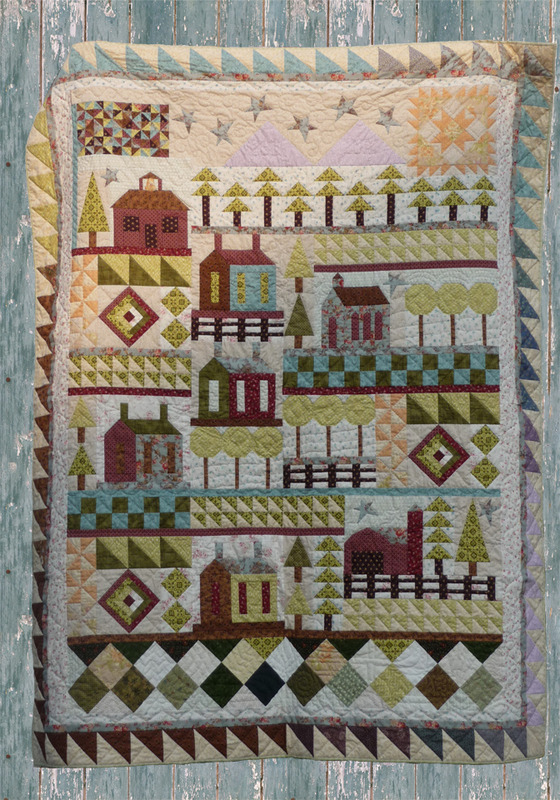 I adore Amish quilts. 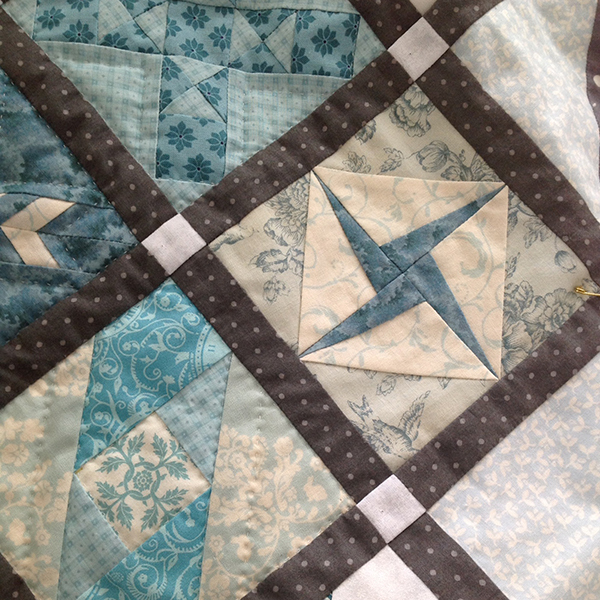 I love the plain motifs, the clear colours, and the elaborate quilting. I have a high respect for the Amish in general. I find their way of living, their values, and their craftsmanship truely inspiring. 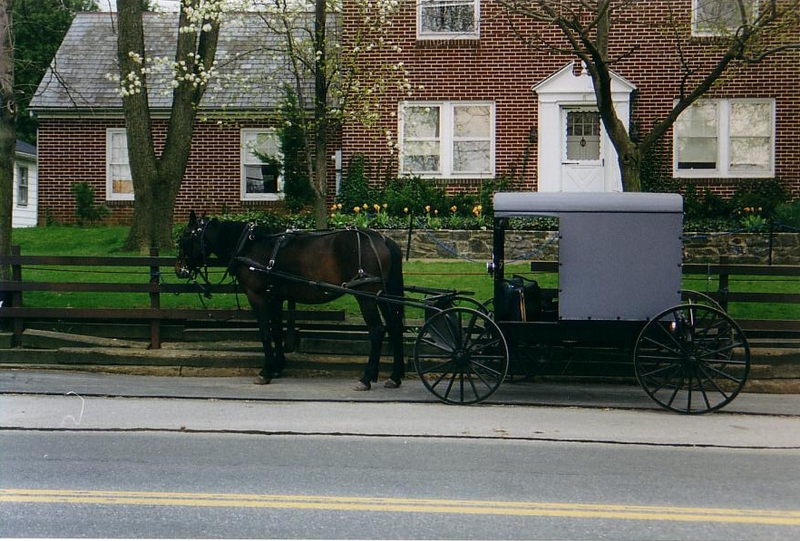 When visiting the US, we travelled through several states, and I liked it best in Dutch Country in Pennsylvania. We stayed a couple of days in Lancaster, and I soked up what I could of the Amish culture. 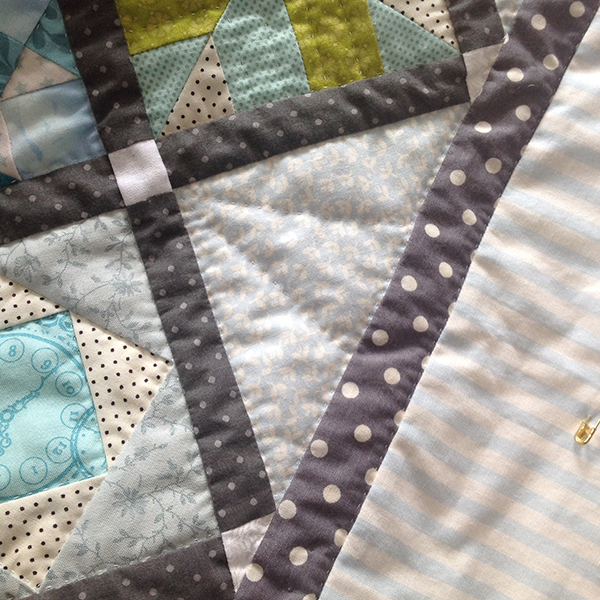 What you see here, is my first attempt at an Amish quilt. It is a wall hanging, 53″ x 53″. Looking back, I do not know why I chose exactly those fabrics. I am not quite happy with them. 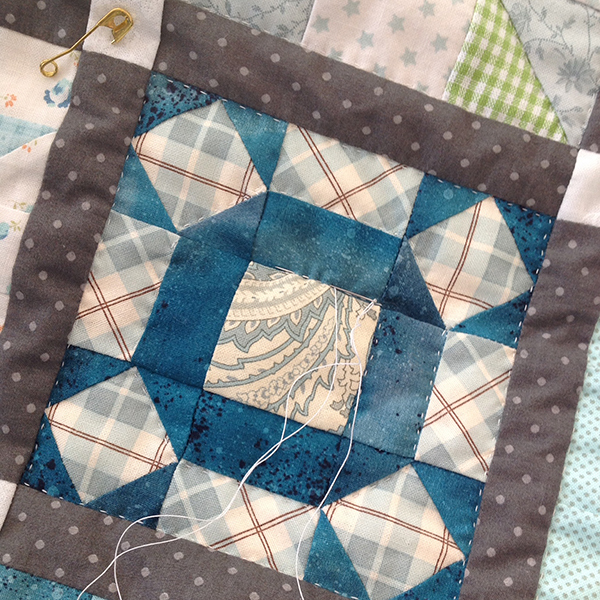 The grey of the middle square and the binding is still fine with me. But as for the rest … mmmh. I like the wall hanging when looked at from a distance, when you can discern nothing but the simple square in a square motif. 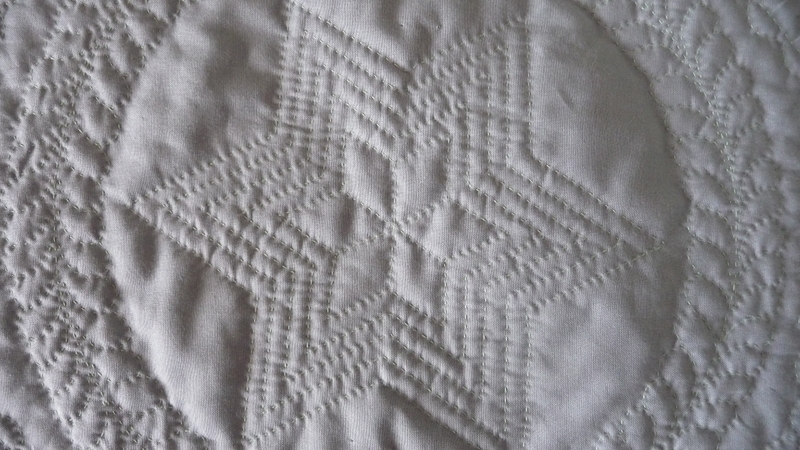 On a close-up, however, you can examine my hand quilting. 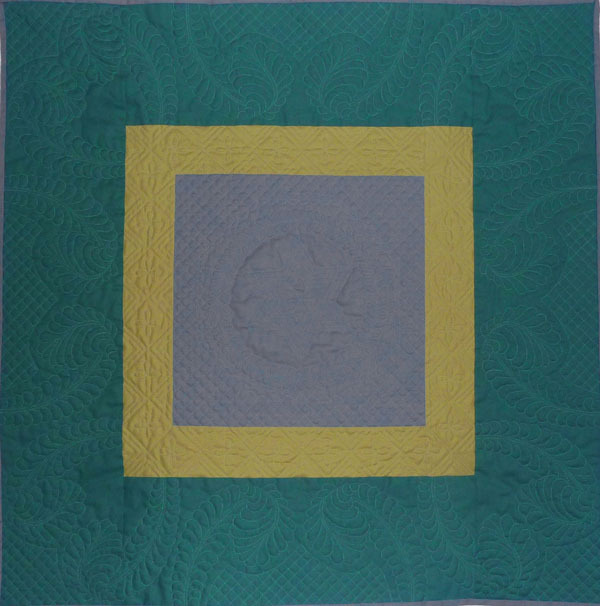 The LeMoyne star and the feathered wreath on the grey fabric, as well as the quilt pattern on the light green border were inspired by antique Amish quilts. I understand that these were very popular motifs and maybe still are. 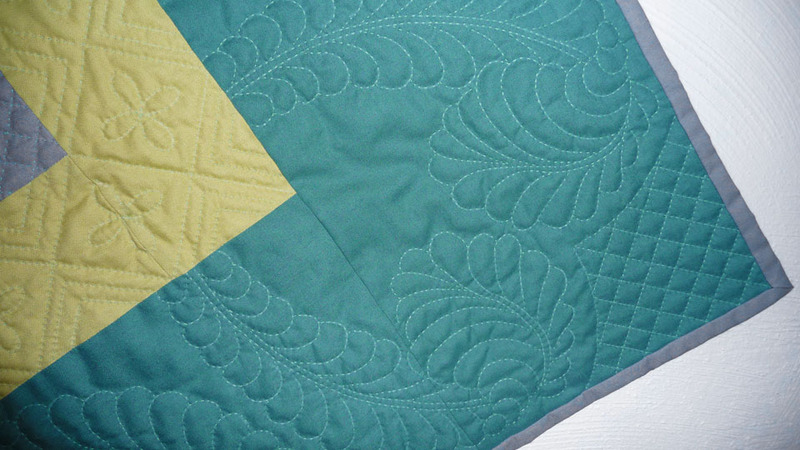 For the dark green border, I had to use what quilt stencils I had at hand (which are not many). Most of them were to small for this wide border, and in the end, only my feather stencil qualified for the job. For marking the quilting lines, I used my brand new retractable chalk pencil. I am never going to use anything else! You get the finest lines, clear and exact, and yet easy to erase. Whether using a stencil, drawing lines with a ruler, or marking free-hand—it is just perfect! Posted in Uncategorized and tagged Amish, chalk pencil, dutch country, feathered wreath, hand quilting, plain people, quilt, wall hanging. Bookmark the permalink.